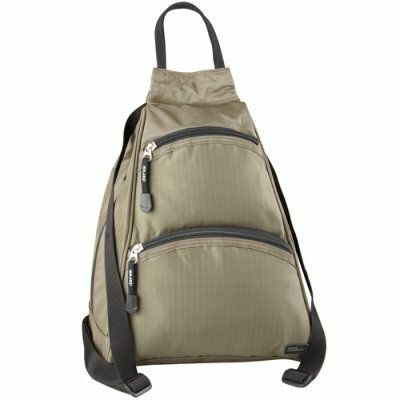 This nylon sling backpack provides two wrap around zippered pockets; the front one provides a wide opening and contains a removable key ring. The larger pocket provides plenty of storage space along with two sleeve pockets. There is a water bottle pocket located on one side of the bag. 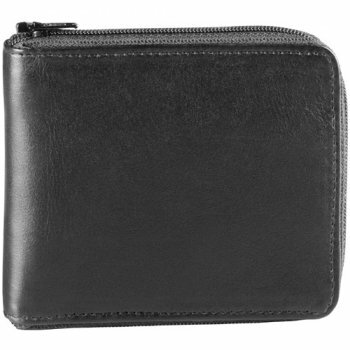 There is a zippered pocket on the rear exterior that contains a pen sleeve and four credit card sleeves. 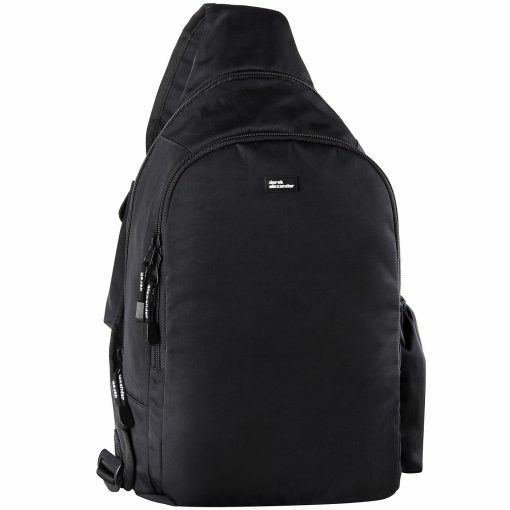 There is a zippered pocket on the bottom that stores inside the larger main compartment. The strap is fully adjustable for a comfortable fit.